This horizontal station has a door facing and collar made from 18 gauge 304 stainless steel. Fabricated of FDA-approved fungus and bacteria-resistant plastic. 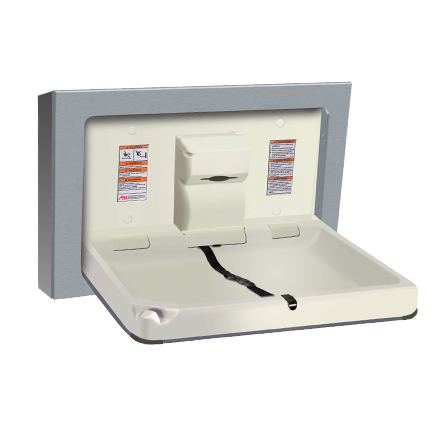 Unit complies with 2010 ADA Accessibility Standards and supports a static load of 300 lbs. (136 kg) and be tested in excess of 350 lbs. (159 kg).